Crafted from luxurious 9ct yellow gold, this pretty ring features an elegant crossover style design partially set with shimmering diamonds for sophisticated sparkle. A beautiful way to express your love and commitment. 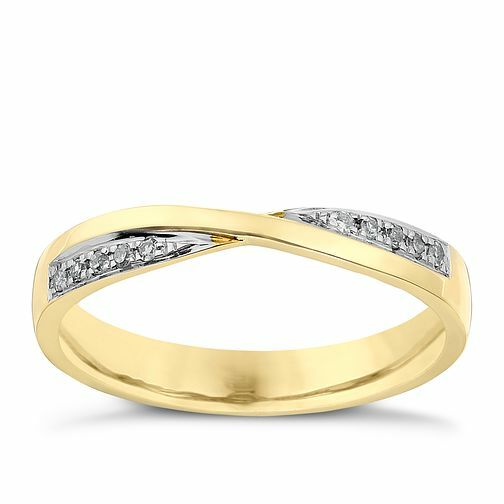 9ct Yellow Gold Crossover Diamond Set Wedding Ring is rated 5.0 out of 5 by 3. Rated 5 out of 5 by Anonymous from really great ring. lovely ring which fits well with engagement ring, would definitely recommend it. good quality and stylish.